If given a choice for one reform at his high school, Des'smen Pooler would add a mandatory class on preparing for college or career. The senior at Portland's Parkrose High School said only about half of his peers have learned the value of attending postsecondary school or even how to apply for federal financial aid. His schoolmate, senior Meme Branch, said students need more basic help with skills such as managing personal finances or cooking a meal at home. "Some kids don't have parents to teach them," she said. "They need to learn about life, not just college." 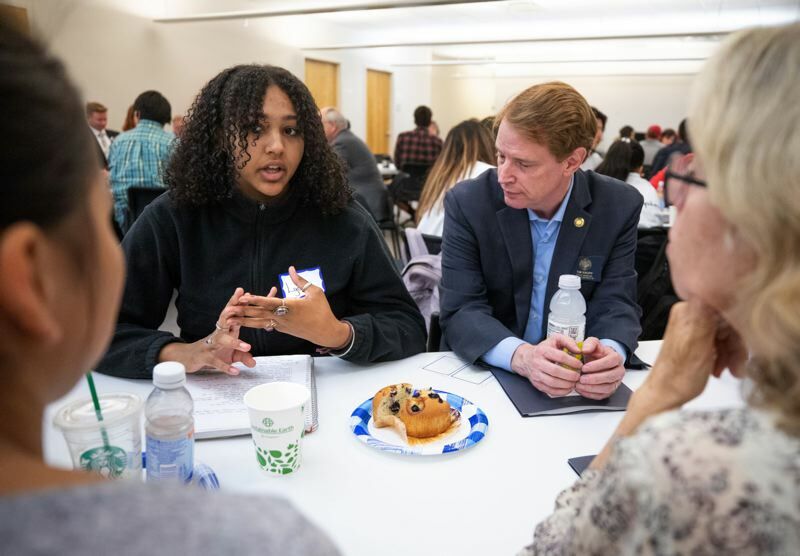 The two shared their insights Thursday with lawmakers in Portland and are among nearly 300 students telling legislators how to fix Oregon schools. Three out of four high school seniors earned a diploma in 2016, leaving Oregon with the third worst on-time graduation rate in the nation. Fourteen legislators hope to change that, searching for ways to make school better focused on helping students toward a career while improving graduation. As the Joint Committee on School Success, legislators have toured schools and held public meetings in nearly every part of the state, logging 2,100 miles in recent months. The committee has held eight public hearings, 10 listening sessions with students and toured 37 schools. Their stop in Portland Thursday was one of their last. They finish their seven-month odyssey with a public hearing and school tours in Coos Bay on Oct. 10. In December, the committee is scheduled to recommend education reforms. Talking with students "is the best thing about this tour," said state Sen. Lew Frederick, D-Portland. "We ask them what works, what's not working and what would you like to see? And they are very frank about it," he said. Frederick was struck by the amount of fear among students, stemming from a media focus on school shootings. Many students expressed a need for better mental health services. Mental health struggles, in many cases, impaired students' ability to learn, he said. At one high school in North Clackamas School District, there are only two counselors for nearly 1,300 students, Frederick said. "The counselors had a two-month waiting list because they had no time, and they also were being told that they were supposed to be paying attention to the academic issues," he said. Jenessa Teachout, a junior, said Thursday that conditions are similar at Gresham's Sam Barlow High School. Counselors "are spread so thin they don't have time for us," Teachout said. Another trend is frustration over standardized testing. Students "want to know what in the world are they being tested so much for. It doesn't tell them anything," Frederick said. 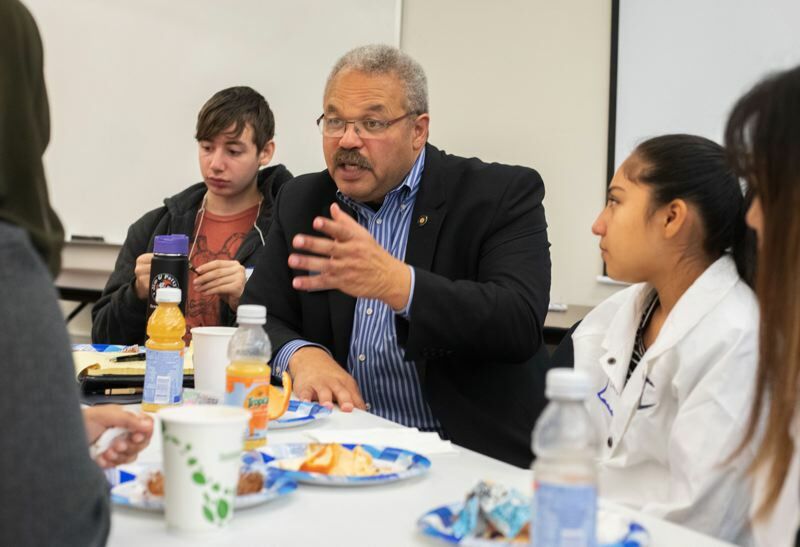 State Sen. Arnie Roblan, D-Coos Bay, and Rep. Barbara Smith Warner, D-Portland, the committee co-chairs, wrote in a joint newsletter Thursday, Sept. 27, that they've learned that different approaches to education can work. "On back-to-back days, we toured a high school with one of the strictest regimes we've seen and another where students have almost unlimited freedom," they wrote. Roblan and Smith Warner were referring to Oregon National Guard's Youth Challenge Program, a military-style alternative high school near Bend, and the Redmond Proficiency Academy. 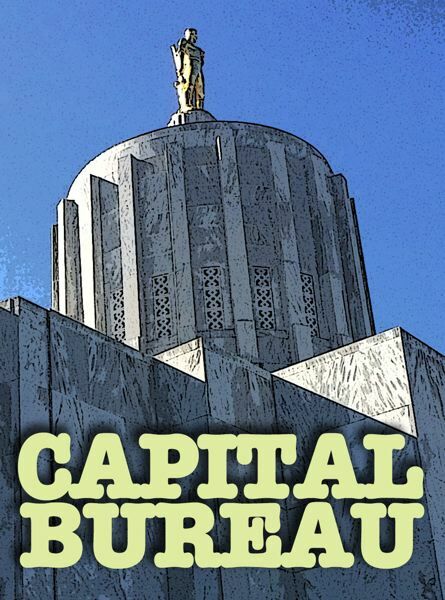 The Youth Challenge Program "is the most successful program of its kind in the country and succeeds for one segment of Oregon's student population where everything else has failed," the co-chairs wrote. "In most cases, the 22-week residential program is the last chance for students who have dropped out or are failing." At least 250 students in the Youth Challenge Program each year earn a diploma or a GED or return to high school, while Redmond Proficiency Academy's on-time graduation rate exceeds the state's by more than 6 percent. "Different approach, similar results," they wrote.